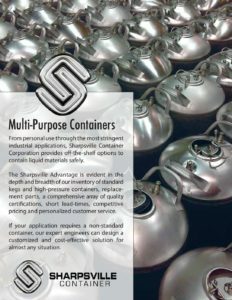 We manufacture a series of general purpose storage, dispensing and spray containers at Sharpsville Container Corporation (SCC). 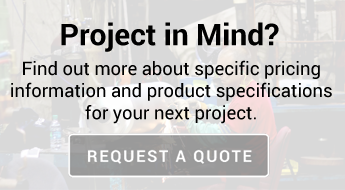 Whether you need a fleet of high-quality, stainless-steel cleaning cans, paint spraying cans or general purpose metal storage vessels, we can provide it. Homebrewing: The most popular homebrew kegs are the ball-lock “Corny” style keg. These cans come in 3, 5, 10, and 15 gallon sizes and come equipped with the standard closure oval lid, pressure relief valve, dip tubes, and inlet/outlets and are rated to 130 PSI. This popular style container is also great for any dispensing or spray application. In addition to the ease of dispensing, these cans are known for their clean-ability. Unlike a Sankey keg, you do not need a keg washing system to clean the inside of the can. Cleaning: Handle the cleaning of beverage and brewing lines with our stainless-steel cleaning cans. While traditional plastic cans break down over time and become dirty, our metal tanks are tough and stay sanitary across multiple uses. Spraying: Make painting simple with our high-quality paint spraying cans. Cover a large area with an even coat and finish fast. Our stainless-steel sprayer cans are also useful for disinfecting work areas, such as production or assembly lines, or providing emergency care at your manufacturing or industrial facility’s eye wash stations. Containing: With our stainless steel, commercial-grade storage containers, you can store a variety of materials. Use them as syrup, beverage and condiment dispensers or vessels for chemicals and gases. As a multi-purpose container, you have plenty of options when it comes to how you use your general-purpose metal storage vessels. All cans are approved by the National Sanitation Foundation (NSF) and are pickle passivated prior to shipping for a satin-like finish. We understand a standard, sanitary storage vessel may not meet your unique needs — that’s why we also manufacture custom-fabricated storage vessels at our 100,000-square-foot facility. With the experience of our in-house design and engineering team, we can provide short lead times and a high-quality fleet of NSF-approved, general purpose storage vessels, sprayers or dispensers tailored to your needs. SCC offers standard and custom cans, as well as any replacement parts. Learn more about our commercial-grade storage containers, as well as our dispensing and spray vessels, by contacting us today for a no-obligation quote. We’re available online or by phone at 724-962-1100. 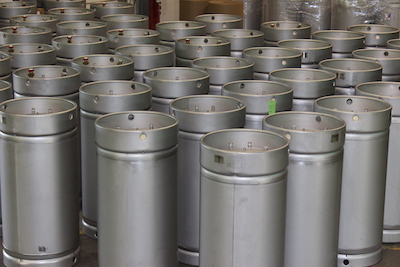 At Sharpsville Container, we fabricate our 3, 5, 10, and 15-gallon general purpose containers from corrosion-resistant stainless steel using a TIG welding process with complete penetration on all welds. Each container is supplied with an oval closure, which contains an integral pressure relief valve and 2 fittings with a dip tube. Our containers are also pickled to create a satin-like finish. There are numerous applications for this design such as portable eyewash stations, add tanks, spray tanks, product transport tanks, homebrew tanks, and more.